I have been writing a lot about rental websites and the lehengas and looks that one can wear in practically shoe string budget. A year or so back, when I was getting married myself, I was so torn between picking out my wedding lehenga vs renting it out. Its still such a haww thing to think about, but hey…if you are courageous enough, then let me tell you its the best decision you will make. Period. Not to your brothers or own sisters wedding and definitely not to someone elses wedding. No matter how much you try to downplay the look. Its just not possible. That + who doesn’t want to wear a new outfit every time. Even if its a Sabyasachi, I can tell you, you might be able to wear it once, apart from your wedding but not again. You will have too many pictures with it, and it just won’t work out. Everyone loves a big poofy wedding lehenga, but those who are married will tell you what a humongous task it is to preserve it for life. It also doesn’t help that the wedding lehenga will never ever see the light of the day again. So better use that space for your trousseau pieces instead. You want to wear that Anita Dongre signature lehenga or the timeless Sabyasachi piece, but wait…the budget is just out of the world. What do you do? Let me tell you, renting a designer outfit is actually going to be much cheaper than your actual budget. GUARANTEED. Check out the options below. Lets face it. Whether your budget is 30k or 50k, getting that 3lakh look is just impossible. 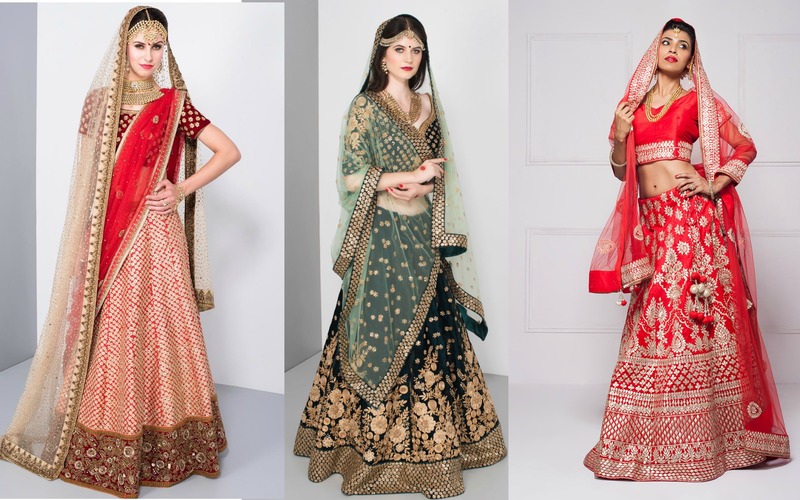 At the end of the day, what is more important to you…is it the look, or owning a wedding lehenga? That’s something you need to figure out. #5 Nobody needs to know it is rented. SHHHH ! If you keep quiet about it, really nobody in the world really cares. Apart from your immediate family, I highly doubt someone would ask you weeks or months later to show up in that lehenga anywhere. Just think it through. The pros will weigh more than the cons. Do you need any further reason?